Registration is now open for this workshop. This one-day workshop is designed for people with some bookbinding experience; no textile knowledge is necessary. 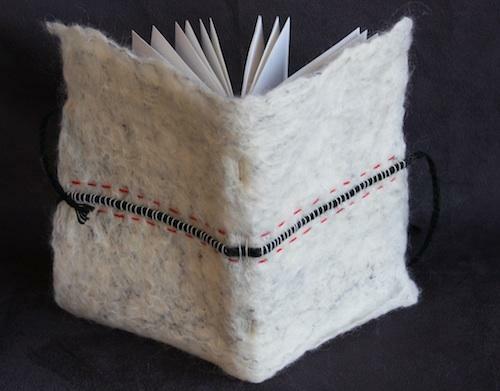 Students will learn a variation of binding on cords and be introduced to the use of textiles in bookbinding in a creative and experimental way. 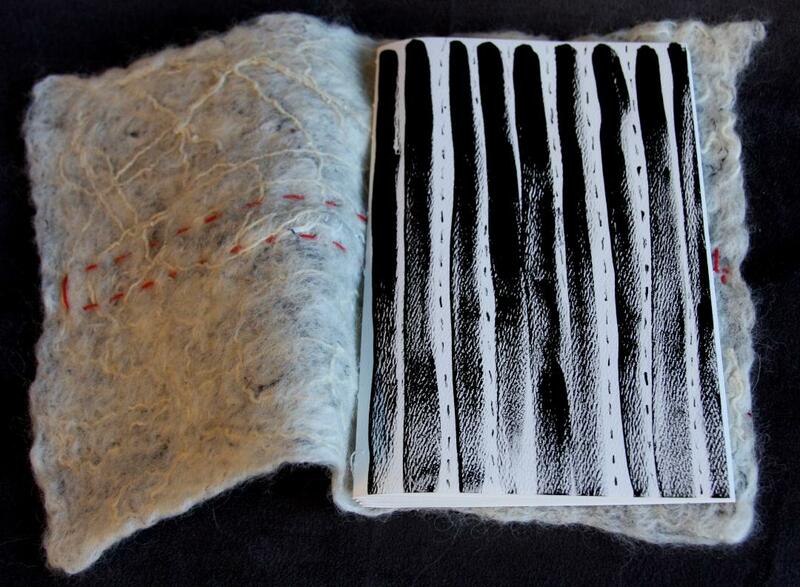 Participants will create two books using paper and wool felt. During the workshop, participants will bind a practice book and a full-size text block. Students will learn how to make felt fabric by hand using wool and water. The cover felt fabric will be embellished with embroidery. Katya will instruct students on how to attach the cover to the final text block. Students’ newfound knowledge of how to create felt fabric, decorate it, and attach it to the text block will allow them to experiment with various textures, fabrics, and formats in future creative bookbinding. Class Size: Limited to 12 participants. Cost: $75 including materials. To register, send a check for $75 (payable to BAG) to Laura Wait, 108 Calle Francisca, Santa Fe, NM 87507, postmarked no earlier than August 15, 2018. For more information, contact Laura Wait at laurawait@mac.com. A short tool list will be sent upon registration.